If you’re a city slicker, then we hope you’ve spent some quality time down at Wynyard Quarter because it’s one of Auckland’s most beautiful hot spots. With a number of fabulous restaurants, spectacular ocean views and plenty of people watching to be had (we love the guy with the skeleton puppet as much as the people who stop and take his picture), we reckon it’s one of the best places in Auckland. 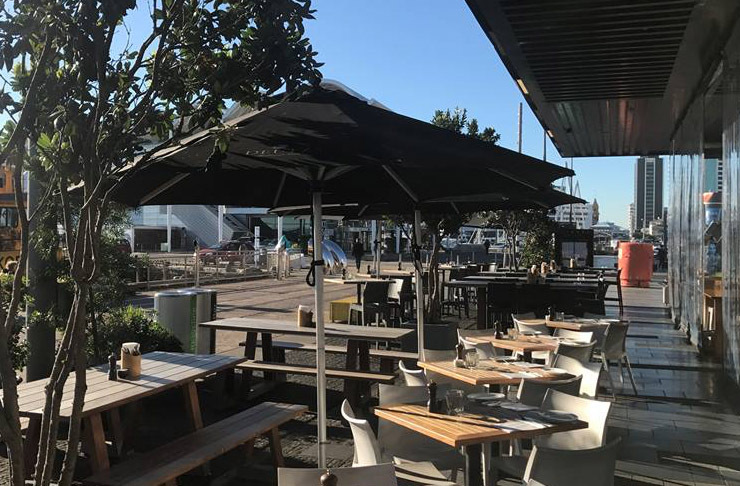 So, this weekend we’re focusing on this great spot and bringing you the best places to feed your bellies in Wynyard Quarter. We’re not lying when we say The Conservatory is a must-visit spot down at Wynyard Quarter. This wine bar, cocktail bar and restaurant (yes three-in-one!) has a very relaxed atmosphere, with hanging chairs that we’re always hoping to nab. And, because we know it’s not quite warm yet (even so the blue sky is tricking us), there’s an outdoor fire with views towards the sea, so you can at least pretend it’s a warm summer’s day. If you haven’t been to Baduzzi you haven’t lived. This Italian inspired restaurant is a hot spot for all the who’s who around Auckland. And it’s with good reason. 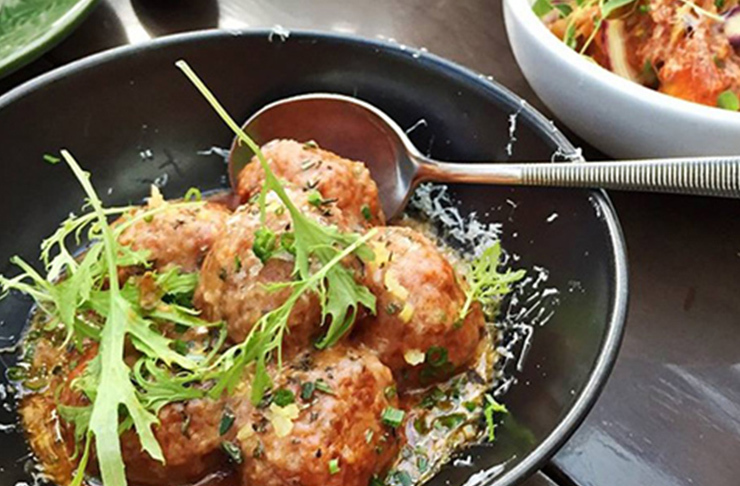 It is perhaps (in our opinion) one of the best Italian restaurants around Auckland—think Italian classics with a twist—there’s crayfish meatballs, cured meats and so many delicious pastas to choose from. Leaving aside the food for a moment, the interiors are an inviting yet glamorous affair, and we know of at least one person who got down on one knee there! 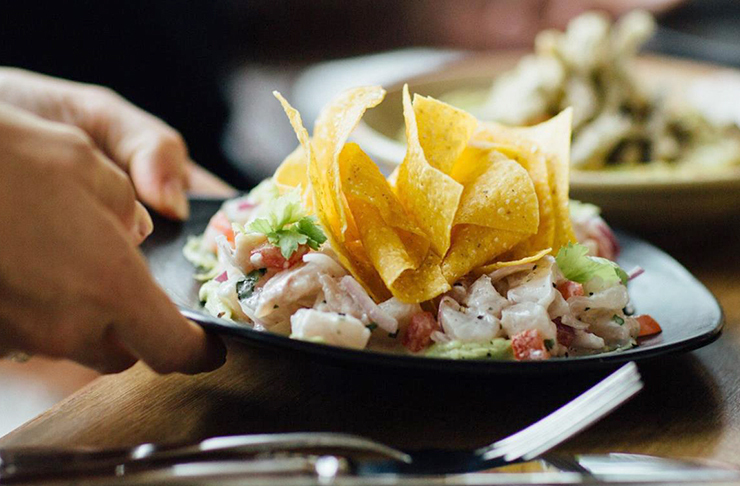 If you’re of the mindset that ‘food sharing is caring’, or you’ve suffered from a serious case of food envy in the past, then Pescado Tapas Bar is the spot for you. It offers Mediterranean tapas, while using New Zealand’s fresh produce, bringing you a culinary delight. With a rustic setting and a spot to sit in the sun, it’s time to be like the Spanish, and sit back and relax with a glass of wine or freshly made sangria. Those in favour of a good ol’ soul food feast, raise your hand! Miss Clawdy reaches the inner glutton within us and so when you can’t make it to America, head to Miss Clawdy. The Southern American atmosphere and complimentary popcorn will have your taste buds running wild. It’s a given that when you visit you must order the Fried Jerk Chicken. This one’s for the seafood lovers! With the Auckland Fish Market being right in the heart of Wynyard Quarter, you can try some of the freshest fish NZ has to offer. Wine and dine yourself down at Seafood Central—Auckland Fish Market’s restaurant and courtyard bar. The chefs have created a seafood menu to showcase the best of New Zealand, paired with seasonal produce and a selection of wines. What more could you want? 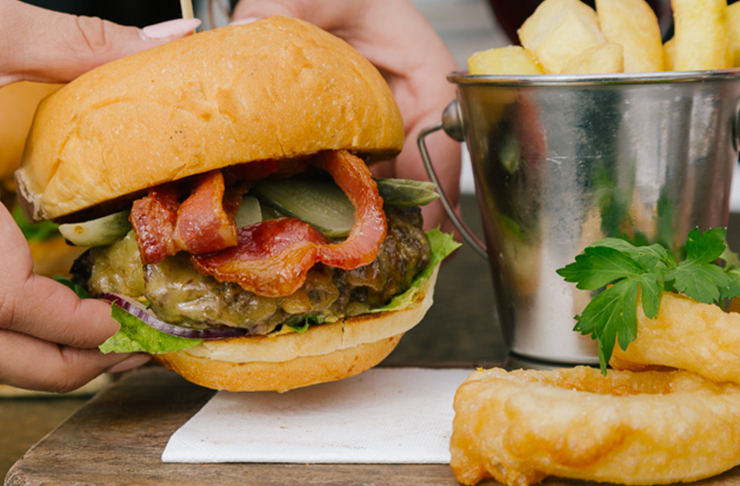 For a classic kiwi experience with burgers and beers, head to Jack Tar. The restaurant, which was a former working goods shed, has been revamped and now looks like an industrial-but-cool bar, or restaurant have you will. Residing right on the back of the wharf, the courtyard has you feeling as though you’re on a boat. Don’t go past the burgers. For a luxury dining experience on Wynyard Quarter, we suggest visiting Marvel Grill. It is a restaurant experience that is based on fundamental dining values—service is key and the food and beverages do not disappoint. Open from breakfast right through to dinner, there’ll be a time to suit all. If you’re feeling frisky and want to get the aphrodisiacs pumping, Marvel offers oysters from both Coromandel and Waiheke. None of this health business here, please. When we head out to eat we want the real deal, and Johnny Barr’s your man. The American-inspired menu, offering brunch and dinner, will not leave you feeling hungry. Think banana, chocolate chip waffles, mac and cheese, and the infamous fried chicken. If there’s one thing us kiwis go absolutely nuts for, it’s a damn good barbie. If meat, upon meat, upon meat sounds like a bit of you, then Fireworks is a must. Possibly the most carnivorous restaurant ever created by man, Fireworks is all about the traditional method of barbeque—slow cooked over good ol’ wood and charcoal. The finest cuts of meat rubbed with the most delicious of seasonings, smoked over low heat for hours and hours, resulting in tender, juicy, smoky meat goodness… God, simply writing about this place makes us drool! And what goes best with barbie? Beer, of course! And Fireworks has plenty of it. Draft or bottled, craft or macro, whatever your taste-buds desire! Simply put—Feriza’s is Mediterranean at its best. Here, you will find a variety of dishes from the expansive Ottoman Empire, with a strong emphasis on sharing. The focus is on the cuisines of Greece and Turkey, varying from traditional village dishes to those from the kitchens of the sultans’ palaces. Mediterranean style breakfasts, mezze platters, Turkish street pizza, kebabs, dolma, Iskender and much more! The best part is how truly authentic the food really is. And how could it not be, when the recipes are inspired from ancestral cookbooks? Don’t have a batch to escape to? Escape to North Park! With multicoloured pastel planks decorating the bar, old school memorabilia adorning the walls and fishing nets and weaved baskets serving as lamp shades, North Park has all the makings of an old school batch. Fittingly, the food is just as kiwi as the decor. Beer battered fish, beef and chicken burgers, woodfired pizzas, lamb rump and, of course, the almighty fish and chips! With sides like mac and cheese and onion rings, this is the perfect place to grab a hearty meal and a cold brew.